Gizz Kids wheelchair squad. 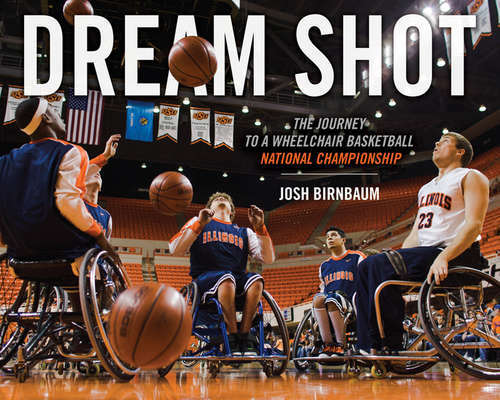 Embedded with the team, Josh Birnbaum took photos that captured the life experiences of people in the Illinois wheelchair basketball program from 2005 through the 2008 championship season. Dream Shot follows the unique lives of the players and coaches on the court and the road, and in quiet moments at home and the classroom. Along the way, Birnbaum provides the definitive story of the 2008 team and the challenges it overcame to capture one of Illinois's record fifteen men's titles. Featuring more than 100 color photographs, Dream Shot memorializes a legendary team alongside the story of the university's dedication to the progress of disability rights.